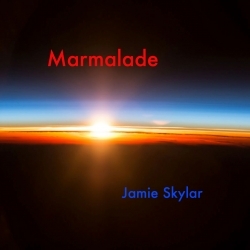 Los Angeles, CA, March 19, 2018 –(PR.com)– The third single and title song “Marmalade” from the new album by international performer, recording artist and Producer Jamie “Sky” Skylar will be released on Tuesday, March 20th, according to a spokesperson for Prophet Records. Like three other songs also featured on the album, Marmalade just came to Skylar the way it is, she confirmed. “It’s not like I set out to write this particular song,” Skylar said. “I just picked up my guitar one day, started playing, and was immediately inspired – it was as if I had suddenly become a conduit, if you will, the instrument chosen to write this song – and there it was – music, words, everything.” “Like Magic,” Skylar said, “and it’s an unbelievable even mystical experience when it happens like that, and I think you have to honor that and pay special attention to a divine gift like that.” Given, that the album was initially recorded at the Hyde Street Studios, formerly the old Wally Heider Studios in San Francisco, where Jefferson Airplane, Bob Dylan, Janis Joplin, Jimi Hendrix, Quicksilver Messenger, The Grateful Dead, Harry Nilsson, Crosby Stills Nash and Young, Santana, Creedence Clearwater Revival and so many other greats had all recorded, there is no doubt that there was definitely magic in the air for Marmalade.